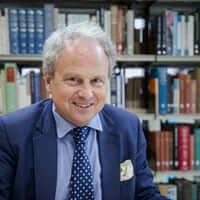 Jeremy Howard is the Head of the Department of History of Art and Tutor for Admissions for the BA in History of Art and Heritage Management and MA in Historic Arts and Decorative Interiors, as well as Head of Research at the art dealers, Colnaghi. Educated at Oxford and the Courtauld Institute of Art, Jeremy spent thirteen years in the London art market, first at Christie’s and then at Colnaghi, and also worked for a number of years for a gallery specialising in architectural drawings, before joining the University of Buckingham and setting up the MA in Decorative Arts and Historic Interiors in 2000. He also taught for three years at Birkbeck College, University of London. His research interests include British eighteenth-, nineteenth- and early twentieth-century patronage and collecting, the Grand Tour and the English country house, and the history of the London art market. He has recently published a history of Colnaghi and its role in the art market to coincide with the 250th anniversary of the firm.